The DA notes today’s State Visit by the President of Zimbabwe, Robert Mugabe, to South Africa. Granting a state visit – which is a favourable expression of a friendly bilateral relationship – is problematic in the first instance given that Mr Mugabe has become synonymous with human rights violations the world over. Engagement is needed with President Mugabe, but it should be on the basis of pressuring him into wholesale redress for human rights abuses that have ensued in Zimbabwe under his regime. Our government should not be rolling out the red carpet and celebrating a man whose regime has discharged atrocities on its own people. The most notable of these state-sanctioned atrocities was the Matebeland Massacre of the 1980’s that saw the public executions of 55 men and women who were forced to dig their own graves, and to which Mr Mugabe turned a blind eye. It is estimated that 700–800 people were murdered by dissident gangs in rural regions across Zimbabwe. Mr Mugabe granted blanket amnesty to all those responsible for this brutal extermination without seeking any restorative justice, making him complicit in this heinous wave of attacks. Today South Africa hails him as a hero. How can it be? Mr Mugabe has presided over years of institutional human rights abuses including the use of political violence against opponents and the crippling of the country’s economy. In recent years the Zimbabwean dollar was all but worthless. The Zimbabwean economy, after 2000, shrunk significantly, resulting in a desperate situation for the country and widespread poverty. What is worrying is that the current unemployment rate is not known but, based on some reports, could be as high as 85% and several recovery plans for the economy seem to be stalling. This under his watch and at the expense of millions of Zimbabweans. This has forced citizens to either flee the country in search of better living conditions, or remain in Zimbabwe to endure deepening levels of poverty. Since September 2012, nearly every single civil society organisation of note in Zimbabwe working on civil, political and human rights issues had their offices raided, or leadership arrested, or both. Additionally, in 2008, Mugabe and his party ZANU-PF essentially lost at the ballot box, and remained in power only by pursuing a campaign of political violence that caused his main presidential challenger to withdraw from the election. To implicitly suggest that the injustices of Robert Mugabe’s plunder of Zimbabwe should be swept under the very red carpet our government seeks to roll-out today is deeply concerning. Ignoring the intolerable pain inflicted by his repressive regime on the people of Zimbabwe renders South Africa’s human rights-based foreign policy meaningless. These issues should be at the very top of the agenda in any interaction between the South African and Zimbabwean government. If our government continues in this vein we will effectively be inviting future governments on the continent to systemically erode the rights of their people with the knowledge that they will escape facing the consequences of their brutality. This does not bode well for a politically stable environment. 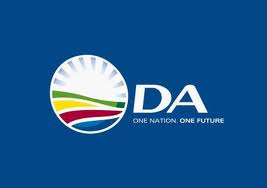 The DA empathises with the millions of Zimbabwean citizens both at home and within our borders. The South African government’s veneration of President Mugabe is irresponsible, insensitive and is a disservice to an entire people who have suffered under his rule. you’re talking abt Zimbabwes unkown unemployment rate where as here in s.a we are told false statistics… you’re telling us abt zimbabwes weak Zim Dollar where as south africas Rand is weaker….jst think thoroughly b4 u can judge President Mugabe….FOETSEK maarn! !